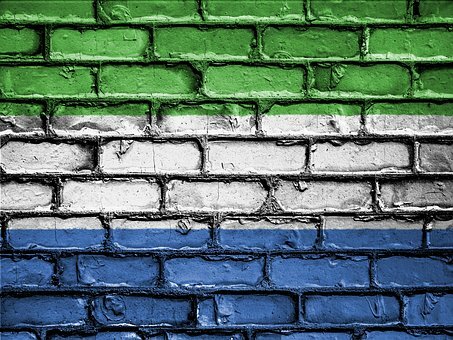 The Republic of Sierra Leone became independent from British rule on the 27th of April, 1961. This birthed the first independent constitution of the state. The Prime Minister of the new independent state was in the person of Mr. Milton Margai. One of the features of the new constitution was the introduction of a British type Parliamentary system of government. The constitution made provision for the position of a Head of State and a Head of Government. The Head of State was the British Queen, who was represented by Maurice Henry Dorman as the Governor-General, residing in Sierra Leone. Then there was a provision for a Head of Government. The post of a Prime Minister represented the Head of Government. The Prime Minister headed the government that was formed by people drawn from the Members of Parliament. The constitution made provision for the creation of a House of Legislature. Candidates elected on the basis of universal adult suffrage became members of the legislature upon independence. The Paramount Chiefs who became members of the House, on the other hand, were elected through an Electoral College. The constitution made provision for a total membership of not less than 60. The constitution made provision for a judiciary. This was made up of both the superior and inferior courts. The judiciary had the Supreme Court as the highest court of appeal. However, like all the newly independent former British colonies in West Africa, the Privy Council in London served as the final Court of Appeal. There was provision for the respect of the fundamental human rights of the citizens of Sierra Leone. Some of these rights included the right to life, the right of association, the right to free speech, the right to pursue one’s religion, etc. The rights were entrenched in the constitution so as to make it difficult to be toy with by politicians. The constitution created a Civil Service to help the executive run the country smoothly. The Civil Service was expected to help the government implement its programmes and policies for the overall development of the country. It was basically the same Civil Service structure that was operated by the British prior to their leaving the scene. The only noticeable changes were at the top where the expatriate Civil Servants were replaced by equally qualified Sierra Leoneans. The constitution made provisions for a local government system. The country was first divided into three provinces. The provinces were again divided into twelve districts. Then the districts were further divided into chiefdoms. There were 149 chiefdoms at independence. The Paramount Chiefs and their sub-chiefs formed the back-bone of the local government structure. 1. Highlight the main features of the constitutional provisions of the 1961 independent constitution of Sierra Leone.